Every year, there are a number of exciting tech products that come out that you might not know are Canadian. 2018, in particular, marked the release of numerous Canadian-made tech, including a handful of console and mobile games, smart glasses and even a revamped streaming service. In fact, this list could have been dominated by Canadian-developed video games alone. With that in mind, below you’ll find a list of some — but certainly not all — of the most noteworthy Canadian tech products of 2018. Though Alto’s Odyssey isn’t a perfect game, it was a more than worthy successor to its stellar predecessor, Alto’s Adventure. The title successfully added new features to the endless runner like wall-riding and more detailed, engaging environments, while simultaneously staying true to the original title’s simplistic, calming mission. Better yet, Snowman has ties to Canada, with Ryan Cash, the studio’s co-founder, being based out of Toronto, along with the title’s producer Eli Cymet. Alto’s Odyssey is available for iOS, Apple TV and Android. In many ways, Ubisoft Quebec’s Assassin’s Creed Odyssey was exactly the kind of reinvention the long-running action-adventure series needed. Almost completely doing away with the history-spanning and increasingly convoluted Assassin-Templar conflict, Odyssey instead focuses on the much more compelling personal story of a mercenary trying to find their family. 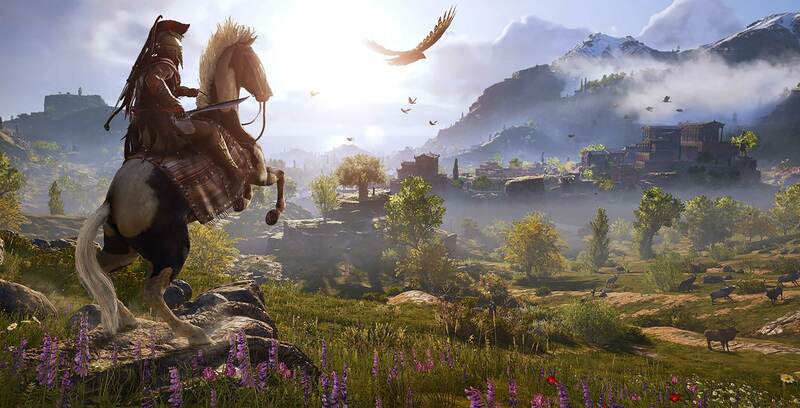 By giving players control over their character’s gender and dialogue for the first time ever, as well as a beautiful, sprawling Ancient Greece to explore, Odyssey truly feels like a living, breathing world that you’ll want to keep coming back to. Meanwhile, the game dives further into the action-RPG mechanics introduced in Ubisoft Montreal’s Assassin’s Creed Origins, making combat and character progression feel more engaging and meaningful than ever before. With Ubisoft forgoing a new Assassin’s Creed title in 2019 in favour of consistent content updates to Odyssey, this really is the gift that keeps on giving. 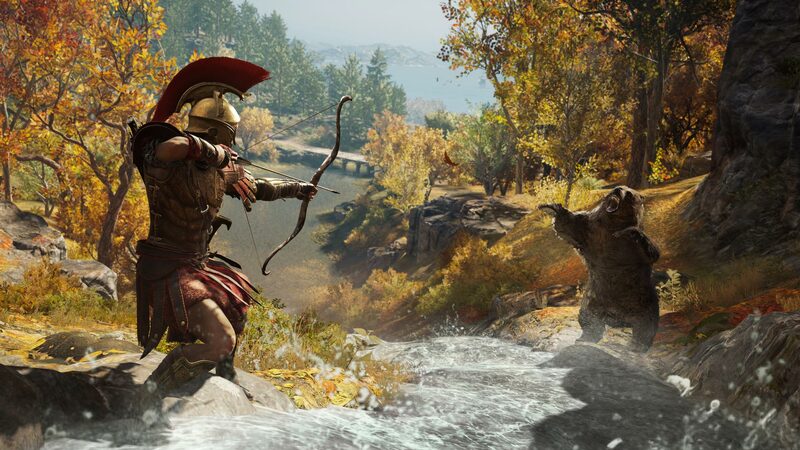 Assassin’s Creed Odyssey is available for the Xbox One, PlayStation 4 and PC. Celeste is one of those rare video games that doesn’t really accomplish anything original in the space. It’s a classic platformer that looks like it was pulled out of a time capsule from 1995. With this in mind, though, video games don’t necessarily need to do something completely original to be great. Celeste is a perfect example of this ethos. The game, which was developed by Vancouver, British Columbia-based developers Matt Thorson and Noel Berry, has players taking control of a young girl named Madeline as she climbs a mountain. The surprisingly difficult title features basic platforming controls, with the key mechanic being Madeline’s mid-air dash move. Celeste’s narrative is also surprisingly compelling, which is a rarity in the platforming genre. It’s not just the MobileSyrup team that has recognized what a compelling title Celeste is, either. The game took home ‘Best Indie Game’ and ‘Game for Impact’ at The Game Awards. 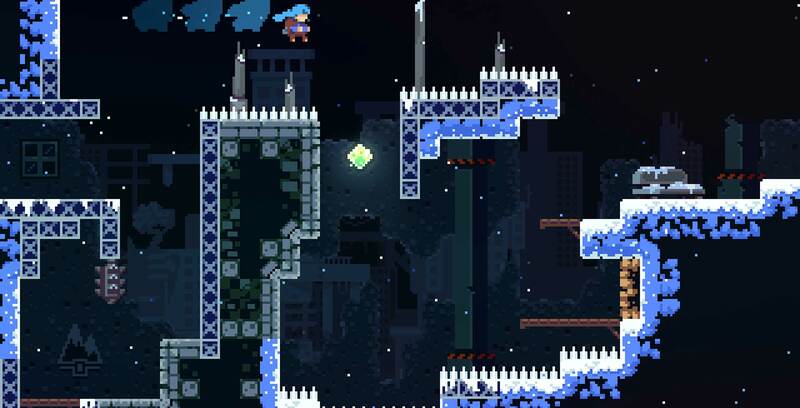 The team behind Celeste also created the critically-acclaimed multiplayer game Towerfall. Celeste is available on Nintendo Switch, Xbox One, PlayStation 4 and PC. It’s not often that we find a reason here at MobileSyrup to praise a large carrier, but Bell’s recent changes to its streaming service are definitely a good thing. Though some have argued an additional $9.99 per month on top of Crave’s base level $9.99 price tag is too much cash, $20 a month for that amount of premium content, including television shows and movies from HBO and Showtime, is one of the best content deals available in Canada. Further, if you’re a Canadian cord cutter and want to legally watch current TV shows like Game of Thrones and Westworld, Crave is the only place to do that. In fact, particularly in Canada, you could even make the argument at this point that Crave offers more value for the monthly price tag than Netflix. With Cannabis legalization now in full effect across the country, at least some Canadians are probably considering the idea of growing their own marijuana. Though it’s possible to cultivate marijuana outdoors in our temperamental climate, its far from a simple task — especially if you’re looking to grow a quality plant. 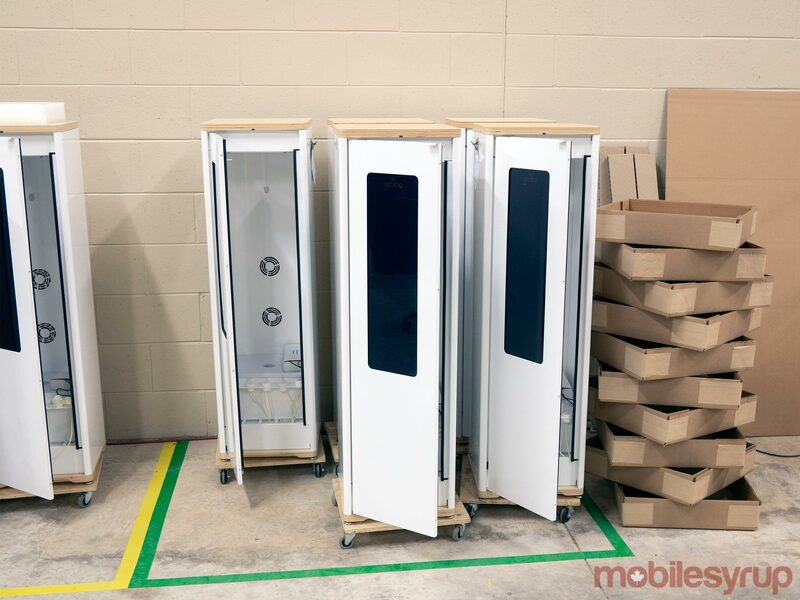 This is where Waterloo, Ontario-based Grobo and the Grobo One come into play. The Grobo One is a self-contained, mostly automatic deep water culture cannabis and other plant growing system. Though some maintenance is required, the entire Grobo growing process is automated, right down to the required nutrients being automatically injected into the plants’ water. That said, the Grobo is admittedly expensive, coming in at $1,999 USD (roughly $2,696 CAD), though that steep cost might be worth it for some people. Further, it’s cool to see a Canadian company end up being one of the first automatic cannabis grow systems to hit store shelves. For years, Kids Help Phone has offered a free, anonymous hotline for youth in crisis to reach out for support. This year, the charitable organization expanded its services to offer free crisis support through text messaging. 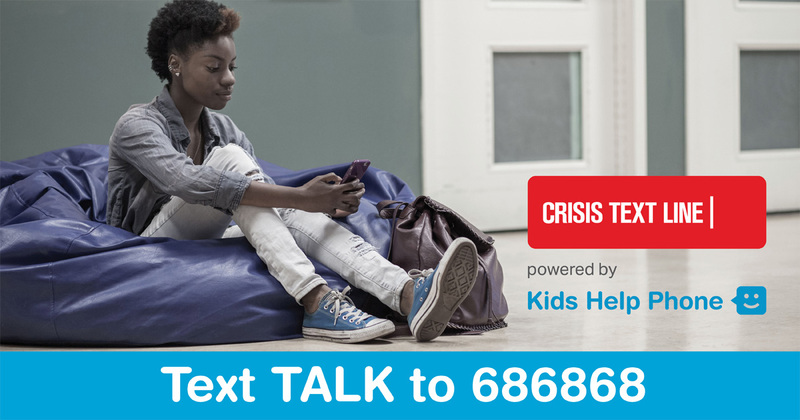 Recognizing that more and more young people prefer to communicate through text, Kids Help Phone has partnered with Canada Health Infoway and U.S.-based Crisis Text Line to offer another way for those in need to reach out. Following a successful February pilot in Manitoba where over 13,000 kids reached out, Kids Help Phone has since expanded the service across all of Canada. To start, the service is incredibly accessible; regardless of phone plan, kids can simply text ‘TALK to 686868’ to connect to an English-speaking responder or ‘TEXTO to 686868’ for a French-speaking equivalent. All responders are trained professionals who know how to help calm kids in distress. Best of all, the service is available 24/7 all year round. Canadian hardware companies are a rarity. Though the utility of Waterloo-based North’s (formally called Thalmic Labs) and its new Focals glasses is questionable, its hard not to be impressed by what the smart glasses are capable of. Seemingly building off Google’s now-defunct Glass project, Focals are capable of delivering important messages, calendar notifications and feature Alexa voice assistant integration, yet still fit in a relatively sleek, stylish body that doesn’t stand out in a negative way. Navigation is performed through a tiny ring-like controller, unlike past efforts to create everyday augmented reality glasses. It’s still unclear if North’s Focals will catch on, but regardless, it’s great to see a Canadian tech company release such an innovative product. While not all that tech-related, per se, Vancouver-born funnyman Seth Rogen’s Canadian transit voiceovers were still fairly big news stories this year. Originally, transit announcements from actor Morgan Freeman were slated to play in Vancouver’s TransLink system in May as part of a Visa promotion. However, Freeman’s voiceovers were scrapped soon after in the wake of sexual harassment allegations made against the actor. This led many Vancouverites to propose someone famous from their hometown to replace him, including none other than Seth Rogen. Fast forward two months and Rogen had officially partnered with TransLink to laugh his way into Vancouver transit announcements. Since this wasn’t through Visa, Rogen instead just spoke about best practices when commuting, including how gross it is to clip your toenails in public. It was an example of making the best out of an otherwise uncomfortable situation. It didn’t end there, though. A few days later, the Toronto Transit Commission (TTC) confirmed that Rogen would also voice transit announcements in Toronto. While some people were disappointed that a Toronto-born actor wasn’t chosen — the deep-voiced Will Arnett was thrown around a fair bit — Rogen’s TTC voiceovers would cease just over a month after it started.